In the last post I wrote about my new honey press, which is actually a fruit press made for crushing apples and grapes. 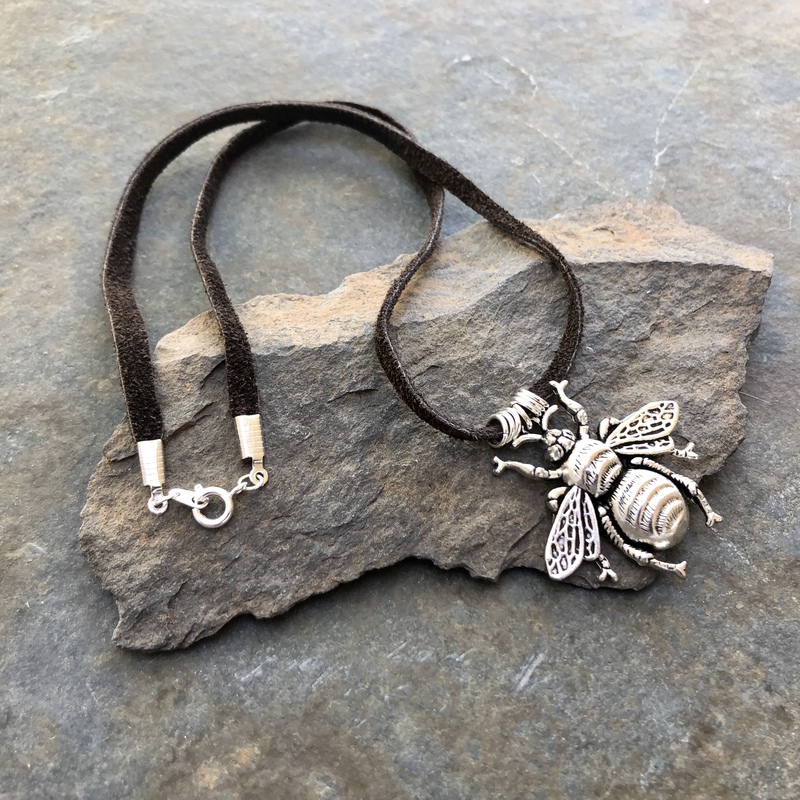 It works great for pressing honey. 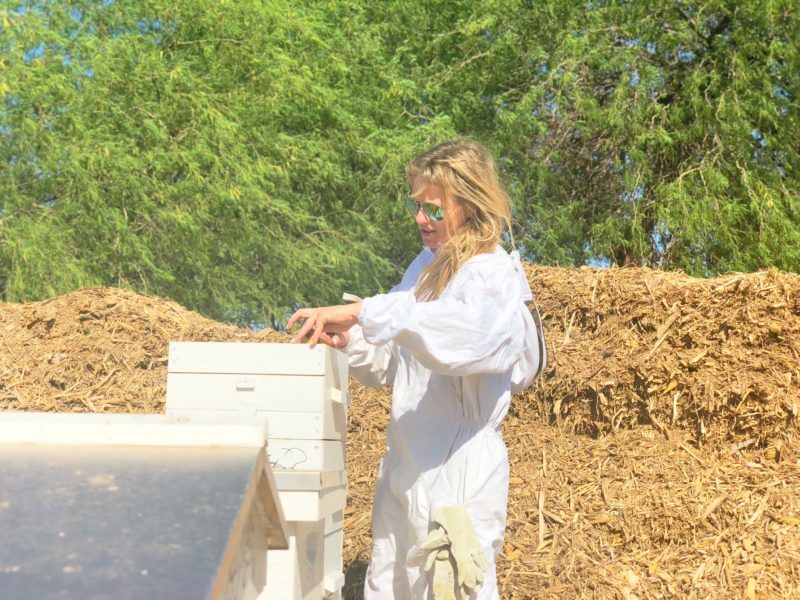 So after all of the honey is pressed out of the comb, what do you do with the smashed, crushed pieces of propolis covered comb? 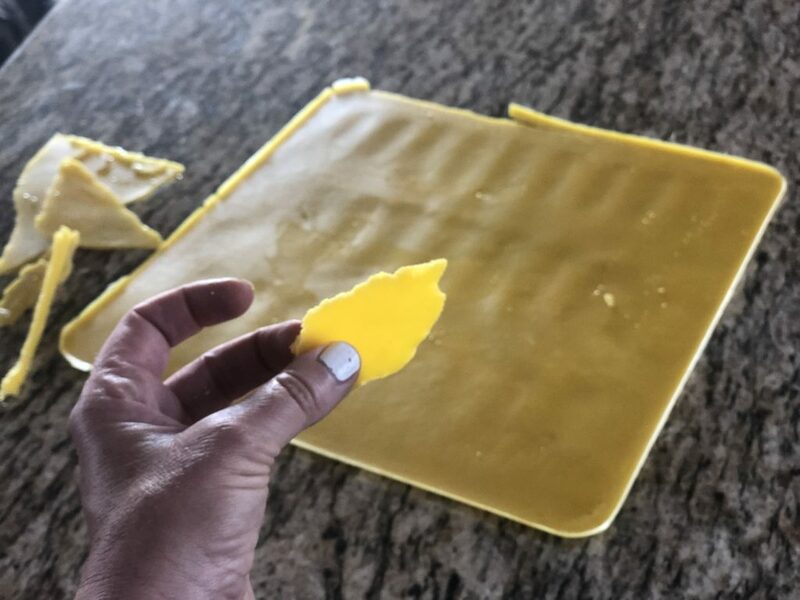 I tried lots of different ways of cleaning and melting it using crockpots, stovetops, and the sun (which in Arizona is pretty effective in the summer). 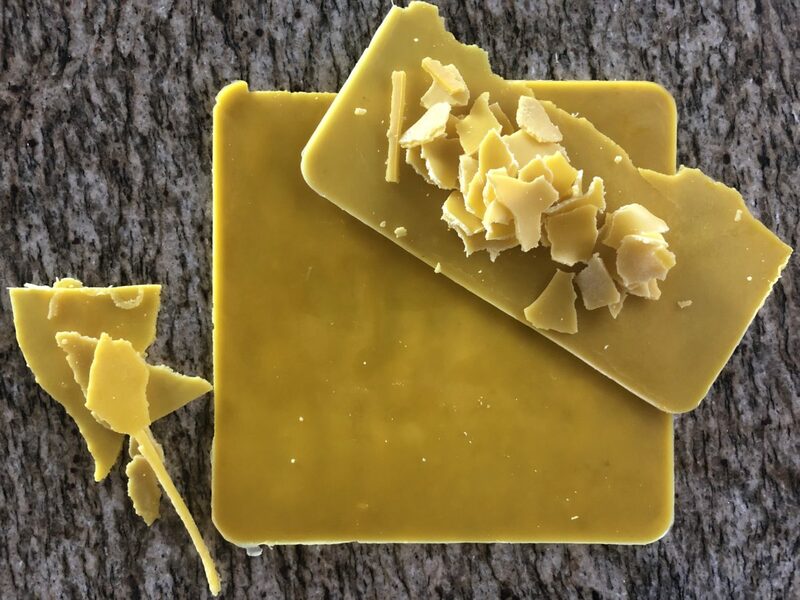 But the most reliable and easy way of rendering wax in my experience is in the oven. It is almost like magic to me. I pile this brown, dirty-looking comb on a paper towel and at the end comes this marigold yellow beeswax. Like how does that happen? It’s so cool! 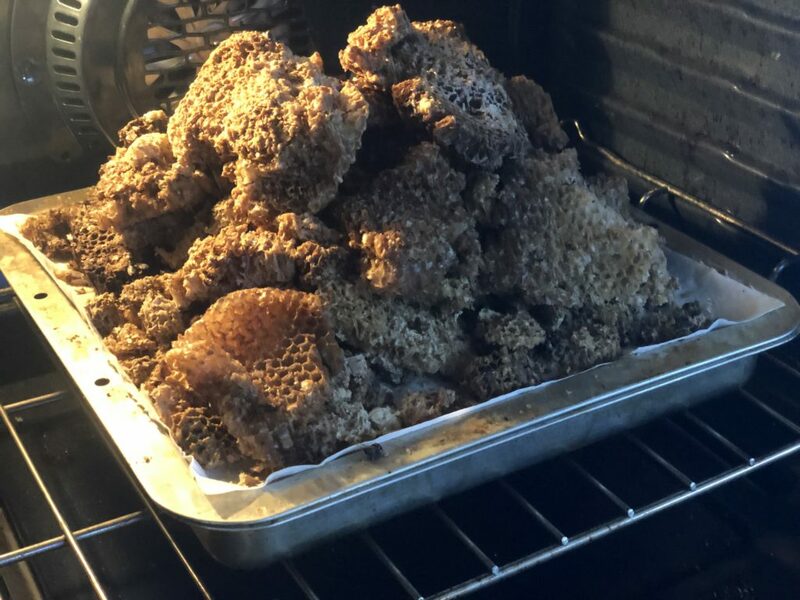 Pile of pressed honeycomb ready to be melted. I use a broiler pan, which has a slotted pan on top of a deeper solid pan. Then I place one layer of paper towels over it and then pile the comb on top of that. *Make sure to fill the bottom pan half full of water. 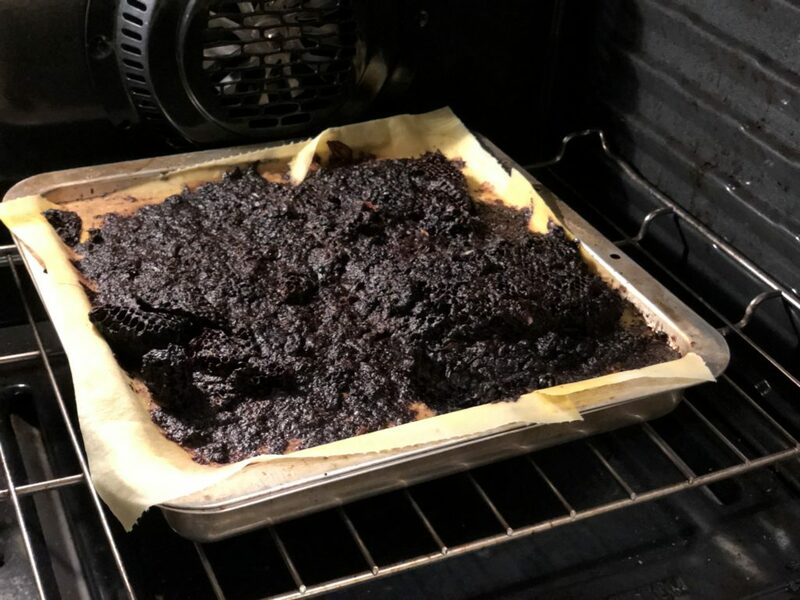 Turn the oven to 200 degrees F, and wait a few hours until all the wax is melted. You can leave it overnight if you want. Once the wax has melted you will have the remains of propolis and other things that didn’t melt through the paper towel. Hint: Make sure to remove the paper towel and unfiltered remnants of the comb while the pan is still warm so that it comes off easily. Once that cools, you can tear or cut it into pieces to be used as fire starters for camping or barbecuing. Under the broiler slotted pan you will see a clean layer of wax floating on the water. Once it has cooled you can lift if off and break it into pieces for use in making salves, lib balms, candles, or whatever else your heart desires. 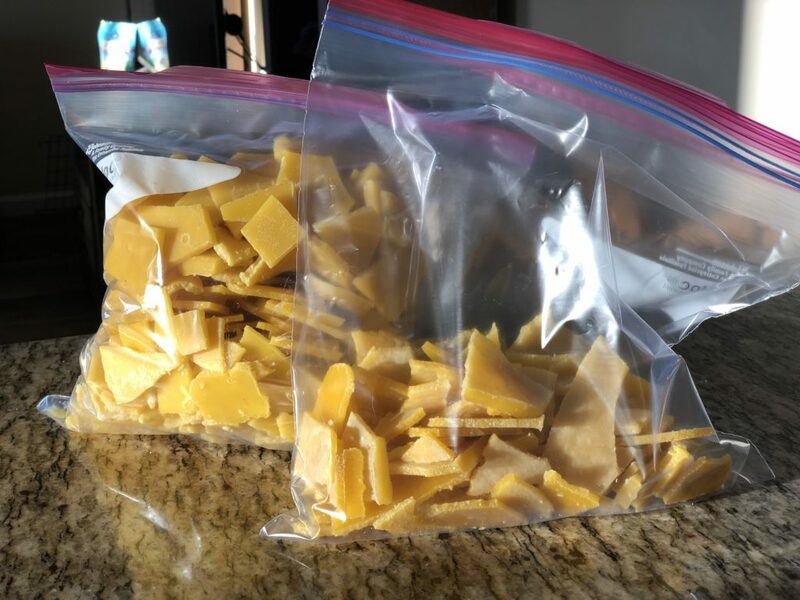 Gallon-size Ziplock bags with ready-to-use clean beeswax.